← I’m Just so Proud to Be Here! 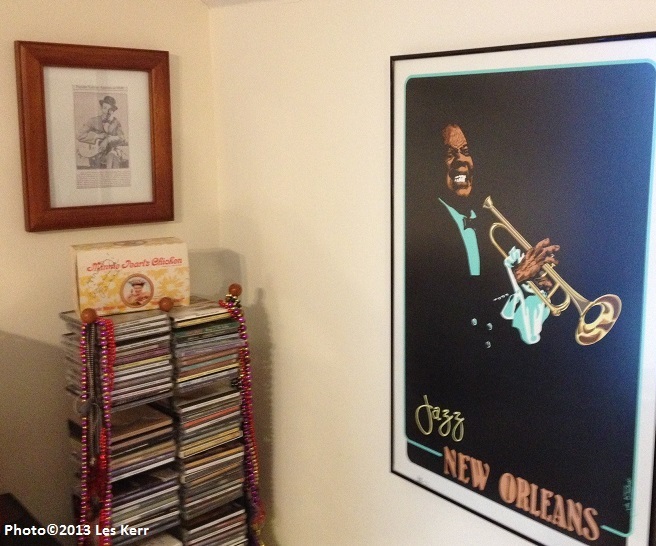 Two things I saw this week brought the long-time musical connection between New Orleans and Nashville to mind. First, the PBS series Austin City Limits featured the Preservation Hall Jazz Band performing duets with other musicians, including bluegrass artist and Grand Ole Opry member Del McCoury. I have seen the jazz band perform in Preservation Hall in New Orleans, on tour at Ole Miss in the 1970s and, more recently, in the Schermerhorn Symphony Center in Nashville. My Del McCoury concert experiences include Nashville shows at the Summer Lights Festival and the Ryman Auditorium. This ACL show brought back memories of tapping my feet and yelling for more in New Orleans, Oxford and Nashville. Second, I read in The Tennessean that New Orleans native and contemporary crooner Harry Connick, Jr. employed several Nashville musicians for his new album. Connick’s scheduled Nashville performance for July 12, 2013 prompted the article. On Austin City Limits, the duet between the Preservation Hall Jazz Band and the Del McCoury Band was an upbeat rendition of the gospel classic I’ll Fly Away. The blend of bluegrass and traditional jazz was perfectly natural and friendly. Like two old friends jamming on a familiar song. When the jazz band’s clarinetist leaned in and blew a solo with the McCoury band, my heart did fly away with admiration. 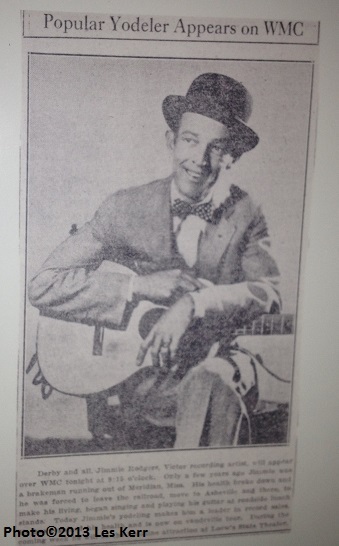 My grandfather loved Jimmie Rodgers. We found this clipping in the family Bible after he died. That exchange made me think of Louis Armstrong’s trumpet solos on several records by Jimmie Rodgers, considered the “Father of Country Music.” Rodgers died in 1933 and his recordings pre-date Nashville’s emergence as a recording center and its reputation as Music City, USA. He recorded in Atlanta, Hollywood and New York. His style, however, was definitely country with other influences showing up occasionally. He was among the first members of the Country Music Hall of Fame, inducted posthumously in 1961. Among Armstrong’s collaborations with Rodgers are the classic Waiting for a Train and Blue Yodel #9. The former also includes a Hawaiian-style steel guitar and the latter takes the listener “Down in Memphis, corner of Beale and Main.” It is hard to imagine those records without the combination of Rodgers’ Mississippi drawl and country guitar being complemented by Armstrong’s New Orleans trumpet. together. Legendary producer “Cowboy” Jack Clement, known for his work with Johnny Cash, Charley Pride and a host of others, co-produced the 1970 album Louis “Country & Western” Armstrong, a collection of country classics (Miller’s Cave, Crazy Arms, etc.) rendered in classic Satchmo fashion. 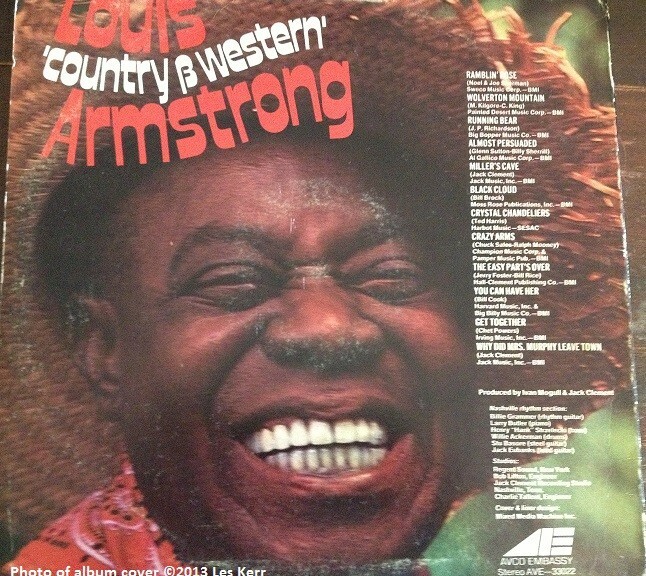 Armstrong also appeared on Johnny Cash’s TV show during that period. Crescent City trumpet legend Al Hirt recorded some of his biggest hits in Nashville’s historic RCA Studio B, including the 1964 LP Sugar Lips, produced by Chet Atkins. 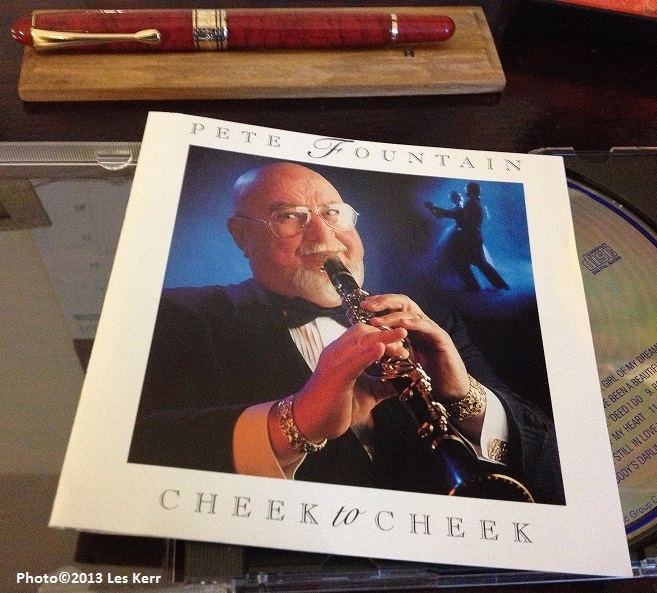 New Orleans native son Pete Fountain recorded his 1993 Cheek to Cheek album at producer Owen Bradley’s (Brenda Lee, Patsy Cline) studio. He also recorded an album in the 1970s called New Orleans, Tennessee. Emmylou Harris’ 1995 album Wrecking Ball was recorded in Daniel Lanois’ New Orleans studio. And so it continues. As for my own music, having grown up on the Mississippi Gulf Coast with New Orleans always a part of my life, whether I consciously aim for it or not, those Creole, Cajun and Zydeco spices all seem to bubble up, even though I now reside and record in Nashville. This entry was posted in Uncategorized and tagged country music, Cowboy Jack Clement, Emmylou Harris, harry connick jr, jazz, Jimmy Rodgers, Les Kerr, Louis Armstrong, Music City USA, Nashville, nashville musicians, New Orleans, Owen Bradley, Pete Fountain, preservation hall jazz band, schermerhorn symphony center. Bookmark the permalink.